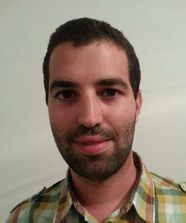 Jorge De León Rivas was born in Barcelona in 1988. He received the Bachelor Degree in Industrial Electronics from University of La Laguna in 2013 and the Msc in Automation and Robotics from the Technical University of Madrid (UPM) in 2015. His main research interests are focused on designing new mobile robots and and algorithms for searching and surveillance missions. He is currently a researcher at the Robotics and Cybernetics research group of the Centre for Automatic and Robotic (CAR UPM-CSIC) where he is developing his PhD thesis. Heterogeneous multi-robot system for mapping environmental variables of greenhouses.